For fans of Dean Koontz, Stephen King and Dan Simmons. "Clegg's stories can chill the spine so effectively that the reader should keep paramedics on standby." -- Dean Koontz, NY Times bestselling author of The Husband, Odd Thomas, Velocity and many others. "Combining both the quiet horror of a Charles Grant with the all-out spectacles of a Stephen King, Clegg's storytelling has never been better. 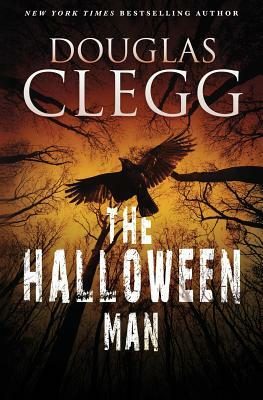 The Halloween Man is a brilliant novel, up there with the best of Straub, King, and Koontz, and one of the most original tales of terror to come along in quite a while." -- Edward Lee, bestselling horror novelist. "Douglas Clegg has become the new star in horror fiction.." - Peter Straub, author of Ghost Story and, with Stephen King, The Talisman. "Douglas Clegg knows exactly what scares us, and he knows just how to twist those fears into hair-raising chills..." - Tess Gerritsen, New York Times bestselling author of the Rizzoli & Isles series. "Clegg delivers "- John Saul, bestselling author of Faces of Fear and The Devil's Labyrinth. "Douglas Clegg is a weaver of nightmares "- Robert R. McCammonauthor of The Queen of Bedlam and Speaks The Nightbird. Douglas Clegg is the bestselling and award-winning author of more than 30 books, including Neverland, The Children's Hour, The Hour Before Dark and many others. He is married and lives near the coast of New England.